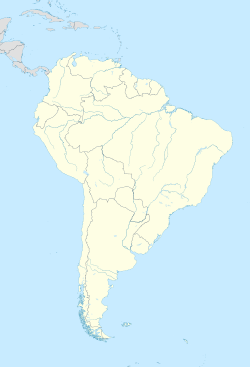 For other uses, see Lima (disambiguation). Lima is the capital city (where the government works), and is considered the most important and largest city of Peru. 75% of the Peruvian economy is handled in Lima. Lima is the industrial and financial center of Peru, and one of the most important financial centers in Latin America. It is an important city of South America and the entrance to Peru. Lima is city in constant urban growth. It has a large population. Over 8 million people live in the metropolitan area, which includes Callao Seaport. Lima is the fifth largest city in Latin America, behind Mexico City, São Paulo, Buenos Aires and Rio de Janeiro. The city was founded by the Spanish conquistador (conqueror) Francisco Pizarro on January 18, 1535. He called it 'La Ciudad de los Reyes' (the City of the Kings). It became the capital and most important city in the Spanish Viceroyalty of Perú. And after the Peruvian War of Independence, it became the capital of the Republic of Peru. In the 1940s, Lima started a period of rapid growth, with the migration from the Andean regions of Peru, as rural people. They wanted to find better opportunities for work and education. The population, estimated at 0.6 million in 1940, reached 1.9M by 1960 and 4.8M by 1980. Lima has developed an important tourism industry, characterized by its historic center, archeological sites, nightlife, museums, art galleries, festivals, popular traditions, and gastronomy. Lima is considered Americas's gastronomical capital. ↑ "Peru Altitude". Retrieved 2014-07-28. ↑ "INEI: Lima cuenta con 9 millones 752 mil habitantes". larepublica.pe. This page was last changed on 26 January 2019, at 00:38.